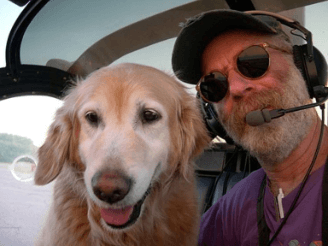 Ed has been a resident of Bowdoinham near the shore of Merrymeeting Bay for over 35 years where he operates helicopter, welding, kayaking and farming businesses. His broad based background in the natural sciences includes over 45 years as an outdoor educator, some of that as a mountaineering instructor for the National Outdoor Leadership School beginning in the early 1970’s. Ed has a B.S. in Environmental Science from SUNY with course and field work in wildlife ecology, glacial geology, hydrology, remote sensing, plant ecology and snow morphology to name a few. He has conducted glaciological and biological field research from the arctic to the Antarctic for, among others the U.S. Fish and Wildlife Service. Species studied include barren ground caribou, sea otter, snowshoe hare, bald eagle, American eel and common carp. In 2001, Ed won an EPA Environmental Award of Merit and in 2011, was a finalist for the Natural Resources Council of Maine People’s Choice Award. He has extensive expedition and backcountry paddling, skiing and mountaineering experience in the North Cascades, Baffin Island, Iceland, northwest Greenland, Norway, northern Quebec, and East Africa. On the Friends of Merrymeeting Bay [FOMB] Steering Committee since the winter of 1993, Ed became Chair in 1996. In this work he has written millions of dollars in grants and initiated projects in the areas of conservation and stewardship [more than 1,500 acres and 11 miles of shoreline protected along with significant archaeological sites], research and advocacy [including 20 year water quality monitoring program], education [1,500 students served each year], and membership activities. Two research projects, Aquatic & Upland Habitat Assessment of Merrymeeting Bay utilizing historical and current aerial photography combined with GIS; and a Caged Bivalve Study on the Kennebec to monitor PCBs and dioxins have been the first projects of their type in the state of Maine and quite successful. A third innovative project studying circulation patterns in Merrymeeting Bay and its tributaries is complete and animated data are available on the FOMB web site. Most recently FOMB conducted a multi-year study of invasive common carp, present in the Bay since the 1880’s and implicated in decreased biological productivity caused by increased turbidity. Amongst the many FOMB accomplishments over the years, Ed considers listing the Atlantic salmon under the ESA, reopening the St. Croix River to river herring and halting in its tracks a proposed underwater 50 unit propeller-style turbine tidal generation project planned for the Chops to be the most significant.